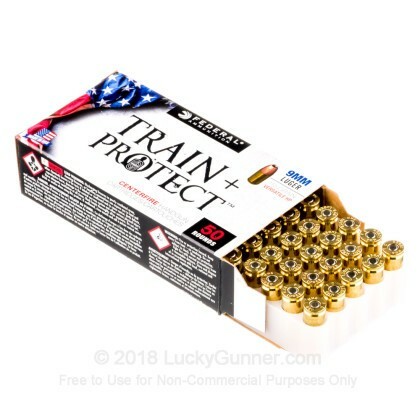 The all-new "Train + Protect" line of ammo gets its name from the flexible VHP (versatile hollow point) projectile that adorns its top. Federal designed the VHP to for reliable feeding, dependable expansion, and balanced product cost which translates to more affordability for the shooter. As such, 9mm pistol and carbine owners can expect these loads to performance excellently own the range and at IDPA matches while also pulling double duty in the concealed carry role. At 115 grains, the bullet's weight matches that of common practice loads and exhibits highly controllable recoil alongside a relatively flat flight path. Both factors contribute to faster sight reacquisition and more accurate follow-up shots. 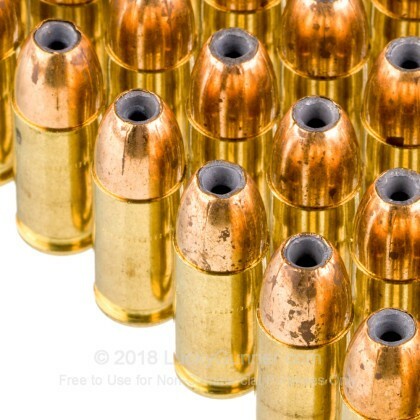 The bullets are crimped into reloadable brass casings that Federal has drawn to precise standards in order to ensure proper chamber pressures and safe reuse. Each case is equipped with a clean-igniting Boxer primer which lends a spark to low-residue propellant. As the 9x19mm bullet passes into a threat, its narrow hollow cavity will cause it to transform into a mushroom-like shape. This allows the projectile to bypass thick clothing and natural barriers before coming to rest and depositing optimum energy in vital zones in an effort to end a dire situation must more quickly. Federal, an American company, has been around since 1922 and has earned a reputation for stringent quality control, top-tier components, and consistent results in both lab tests and reports from real-world events. 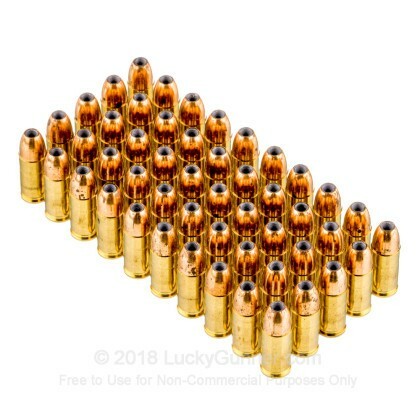 When you can get this for around .27 cents a round, then it makes it great for target practice ammo. I have gone through around 1200 rounds of this ammo, and like it very much. This is fun to shoot, very accurate and allows you to practice with a HP. 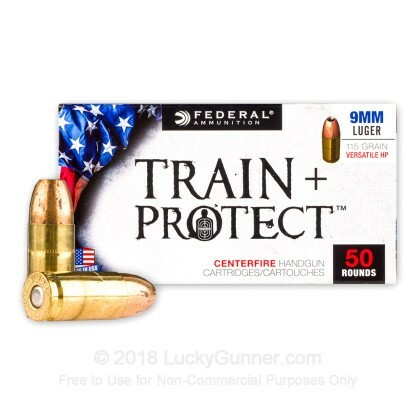 I strongly recommend this ammo, I don't think you will be disappointed. Very accurate and runs in all my 9mms with no problems, ever. And nice to know you can use it for Conceal Carry purposes in the shorter barrels. And cost effective!! Shot about 200 rounds thru my glock 19, no failure to eject, zero feed issues, and zero malfunctions. Well worth the money soley cause you can practice with your carry ammo and not break the bank. I have shot over 200 rounds so far out of my Walther pps m2 and Glock 26 with no issues. Accuracy is good at 15 yards. 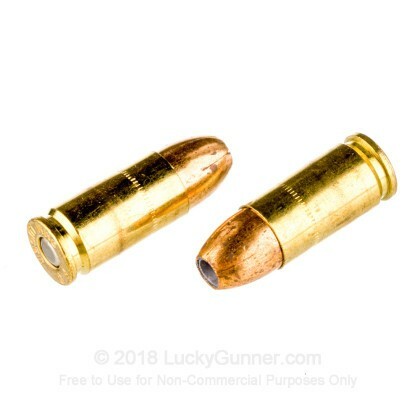 I hope Lucky gunner will do some gel testing with it and hopefully this will be a great carry and range ammo. Fired this ammo in both my SigP320 and Beretta Px4 no issues of any kind. Will be buying again. Runs flawlessly in my Sig Sauer P365, good power but not overpowering to shoot out of the micro-compact pistol... 50 rounds for the same price as most other “carry ammo” that only has 20-25 rounds... can practice AND carry the same ammo without skipping any meals to afford it! 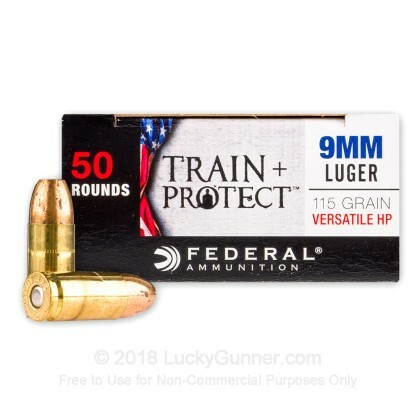 We also have this 9mm - 115 Grain VHP - Federal Train + Protect - 50 Rounds ammo in stock in a smaller quantity.